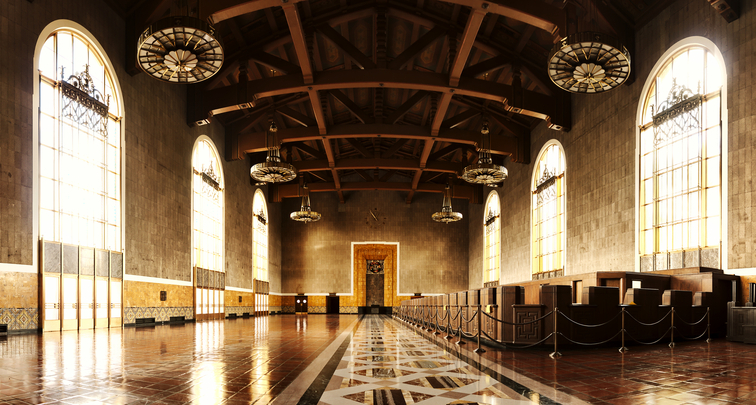 Inside Union Station in LA, there is this grand hall - where one used to purchase tickets from. Since the advent of electronic ticketing and the decline of interstate rail travel, there is no need for it anymore, so it lies dormant. I shot this as a bracketed set of exposures, hand-held using my new Panasonic GX7. I then developed the RAW images with UFRaw and stitched them with Hugin. Finally I played with the colours and did post-processing in Photivo. The photo has been viewed 643 times.